The brake system of your car is its most important safety feature. It will bring your speeding car to a halt when necessary. You can drive confidently knowing that your brakes are working efficiently. There is kinetic energy when your car is moving. This energy is derived from its mass and velocity. You will have more kinetic energy when your car has a lot of weight and is moving really fast. When you need to stop suddenly, your car brakes work to halt the kinetic energy. Most cars have either disc or drum brakes, or a combination of the two. Many cars have disc brakes on the front and drum brakes on the rear. The disc brakes work by having a pad that clamps against the brake disc, rubbing it to make it slow down. The drum brakes work by having shoes inside the wheel hub that press outward to produce friction that will slow down the car. Cars also have handbrakes that, when pulled, will apply the rear brakes slowly and less forcefully. A handbrake is designed to prevent a car from rolling while parked. Brakes are made of materials that will not melt easily. Stepping on the brakes will convert the kinetic energy of the car into heat energy that will reach up to 950°F—enough to melt ordinary metal. Brake materials use ceramics, alloys, or composites that will not melt at the high temperatures produced by the brakes. The car’s braking system is operated by hydraulics. The brakes’ hydraulic circuit is composed of a master cylinder that is filled with fluid and accompanied by pipe-connected slave cylinders. When you step on the brake pedal, it will depress a piston located in the master cylinder that will force the fluid along the pipe. The fluid from the master will travel to the slave cylinders located at each wheel, filling them up in the process. When the slave cylinder is filled with fluid, the pistons will be forced out to engage the brakes. The fluid in the brake system is distributed evenly around the system due to fluid pressure. The braking force is generated because the pushing area of all slave pistons combined is greater than the pushing area of the piston in the master cylinder. The master piston will travel several inches in order to move the slave pistons a fraction of an inch to apply the brakes. This setup allows the brakes to exert great force in response to your tapping on the brake pedal. 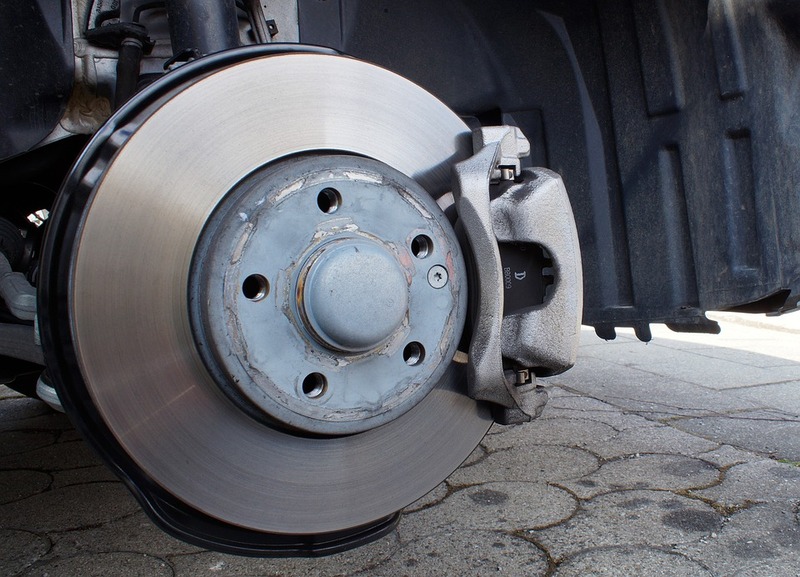 If you observe any problems with your brake system, take your car for an inspection at a Utah tire store. If you live near the state’s capital, visit one of the many Salt Lake City tire stores that can help you get your car ready for the area’s winter weather. Winter tires can increase your safety during the cold months. All-season tires are not nearly as efficient as snow tires at helping you navigate slick roads.